Fly fishing on a still water is a lot different to fishing a river as the water in front of you is usually fairly motionless. On a river the flow of the river allows tension to be kept on the fly line to allow for easier casting. On a still water or lake this can be difficult with normal weight forward or double taper lines. This is why the manufacturer of shooting heads has been a welcome addition to the fly anglers kit. Shooting head lake fishing allows for the fly fishing angler to get extra distance from the shore or boat meaning they can cover more water with each cast. A shooting head is a condensed weight forward fly line and for a single handed trout rod of 10ft the head would only be about 9-10 yards or 30ft. This allows the angler to load the rod easier and be able to cast with ease. Usually this can be done without a false cast or if required only one false cast which produces less motion to not scare the fish. The pros of shooting heads are they can be cast further, they will load the rod easily and snake rolls and spey casts are fairly easy to complete. Shooting heads because of their weight and thickness are great for casting large heavy flies over large distances and 30-40 yards is quite common. Something that would be very difficult with a normal weight forward line. Cons of the shooting head are that presentation is not as easy when fishing dry flies or to spooky trout and is not really possible to be effective. This is because the profile of the shooting head is pushed to the front so the weight and line thickness is much more than with other lines. With this, that extra weight comes down on the water with quiet a splash and will not make presentation very easy. The other drawback of shooting heads is line management. As most of the weight is pushed to the front the remaining fly line or the running line has to be retrieved right back towards the angler before the next cast. This leaves a lot of line laying around the anglers feet which can get snagged on vegetation or the fly anglers footwear. If you can manage this line by placing in loops on your fly line hand and feeding them out during the cast you will be OK but if you just leave it lying there is a good chance it will get snagged and cause the cast to fail. If casting at speed this can cause a nasty knot which can be time consuming to remove before continuing. However with a bit of practice and patience there is no reason why you cannot master how to cast further while shooting head lake fishing. 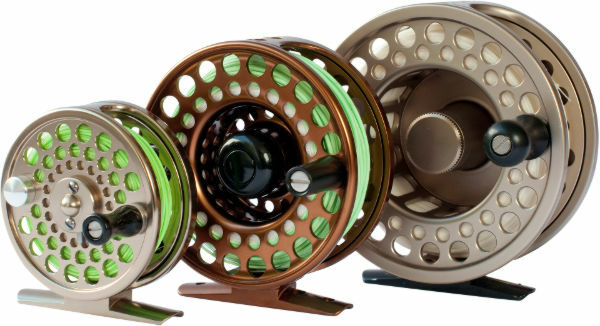 I would recommend these to anyone fishing stillwaters, you will enjoy the fly fishing and if the fish are not biting the casting is fun too!